Helen Benson, age 80, of Lanesboro, MN passed away peacefully, surrounded by her family, on March 26, 2019 at Park Lane Estates in Preston, MN. Helen Arlene Thoen was born September 9, 1938 in Lanesboro, MN to Amos and Amy (Hilden) Thoen. She graduated from Lanesboro High School in 1956. Helen was united in marriage to Roger Huwert Benson at Bethlehem Lutheran Church on August 18, 1962 and to this union six children were born. Helen and Roger enjoyed going to auctions, watching Burro sporting events, spending time with their grandchildren and traveling together. 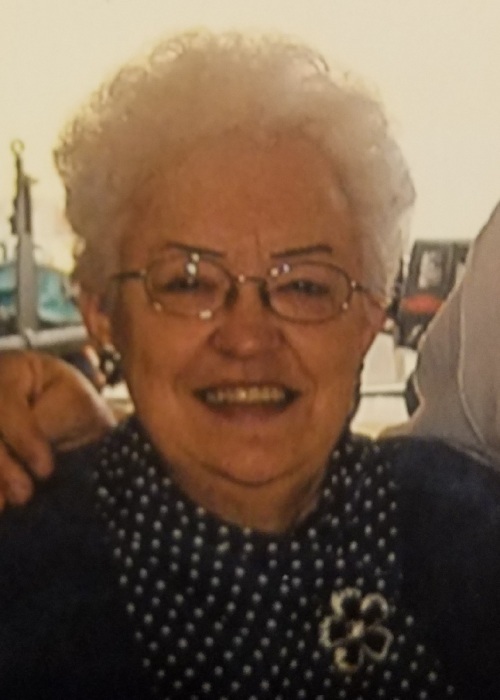 Helen was a lifelong member of Bethlehem Lutheran Church where she also worked in the office for 38 years. Helen enjoyed bird watching, reading, her daily walks, listening to Elvis, and anything that involved Lanesboro history and memorabilia. She looked forward to any and all Lanesboro town celebrations and community involving events. She was a fan of all Minnesota sports teams and especially enjoyed watching the Minnesota Vikings. Helen was a passionate, lifelong Burro fan. She loved to watch her children, and especially her grandchildren, participate in the many activities they were involved in at Lanesboro Schools. She was a proud and loving grandmother who cherished time spent with her grandchildren and great grandchildren. Helen is survived by her children Lisa Benson of Lanesboro, Deane Benson of Lanesboro, Lynne Tollefson of Austin, MN, Joleen (Arlyn) Krause of Austin, MN, Bryan (Teri) Benson of Lanesboro, and Aimee (TJ) Stettler of Lanesboro, grandchildren Aerica, Ryan, Lindsay, Braden, McKenzie, Nathan, Nicholas, Joshua, Gunnar, Olivia, Alayna. Payton, Reece, Kendall, and Kaden, great-grandchildren Taylor, Morgan, Jude, Kashton, and Baby Girl Benson due in June, siblings Merlin (Mary) Thoen of Winona, MN, Richard (Lisa) Thoen of Harmony, MN, and Sandra (Richard) Morris of Onalaska, WI, and sister-in-law Eloise Johnson of Rochester, MN. She was preceded in death by her husband Roger on December 1, 2006 and her parents. Funeral service for Helen Benson will be held at 1:00 P.M. Saturday, March 30, 2019 at Bethlehem Lutheran Church in Lanesboro, MN with Pastor Kerry Eversole officiating. Burial will take place in Lanesboro Cemetery. Visitation will be held at the church from 11-1 P.M. prior to the service. In lieu of flowers, memorials may be given to the Lanesboro Booster Club and Bethlehem Lutheran Church in Lanesboro, MN.